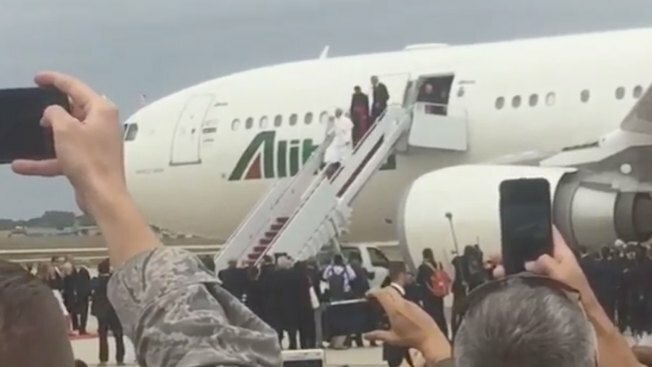 Itinerary for Pope Francis' Historic Visit to U.S.
Pope Francis began his first-ever visit to the U.S. on Tuesday, Sept. 22, after spending several days in Cuba -- and he has a packed six-day itinerary. 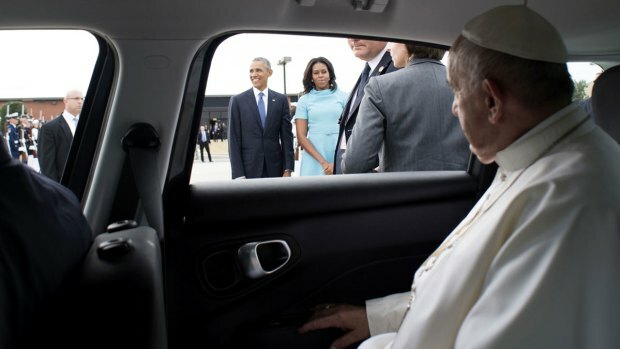 The pope arrived at Joint Base Andrews in Maryland on Tuesday afternoon. On Wednesday morning, he will meet with President Barack Obama at the White House, follwowed by a trip around the Ellipse that the Archdiocese of Washington is calling a "parade." 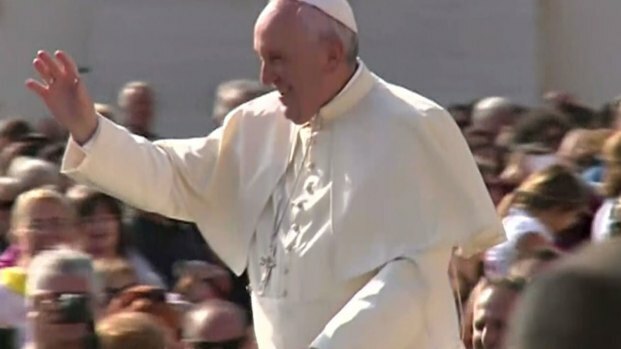 This is the general public's best chance to catch a glimpse of the pope in D.C.
Pope Francis will then attend Midday Prayer with the bishops of the United States at St. Matthew's Cathedral. Later Wednesday afternoon, he will celebrate Mass outside of the Basilica of the National Shrine of the Immaculate Conception. The Mass outside the Basilica will be in Spanish and will be a ticketed event. The pope will leave for New York City on Sept. 24 and address the United Nations general assembly on the morning of Sept. 25. The pope will then hold a multi-religious service at the 9/11 Memorial and Museum. Pope Francis then plans to head to Philadelphia on Sept. 26 to take part in the World Meeting of Families, a gathering of Catholics held every three years. From the White House to the 9/11 memorial at Ground Zero, federal and local authorities are securing areas to protect Pope Francis when he visits the U.S. this week.